Toby Lightman brings her rich voice and lilting melodies to Canal Room tonight. 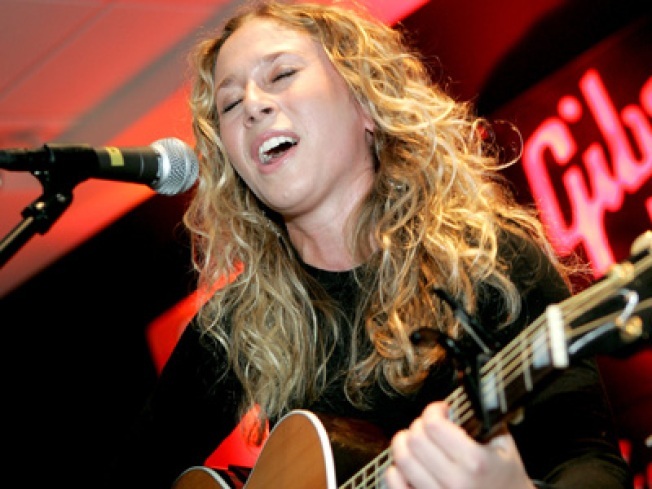 BLUE-EYED SOUL: We don't actually know if she has blue eyes, because when NYC singer-songwriter Toby Lightman busts out that warm, honeyed voice of hers, we go to our happy place, and then wonder why she isn't as famous as Joss Stone. Hop the Toby train at Canal Room, 8PM. HED TRIP: "You don't put bras in the dryer -- they warp!" Fans of cult celluloid classic Hedwig and the Angry Inch will recognize this line -- and every one of the songs -- at tonight's concert version at B.B. King's, starring Jonathan Whitton. If that's not awesome enough, chick Bowie tribute outfit Ziggy Stardust opens. 8PM. L.E.S. CHEER: Comic H.R. Britton and a host of downtown performers tell tales of yuletide New York at the raucous free event, the Lower East Side Tenement Museum's Lower East Side Stories: New York at the Holidays. 6:30PM.